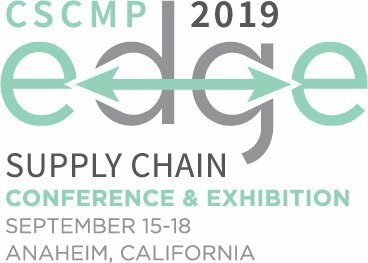 The Council of Supply Chain Management Professionals (CSCMP) hosts supply chain’s premier eventTM—CSCMP EDGE. From leading-edge content to cutting-edge supply chain solutions, EDGE reflects the unparalleled resources CSCMP offers today and symbolizes our unwavering commitment to supply chain in the future. Discover over 100 forward-thinking sessions covering real world strategies implemented to maximize and transform supply chains. Learn from some of the brightest academics and practitioners in supply chain today. Hear dynamic speakers and industry experts. Explore the Supply Chain Exchange Exhibition where you can see, touch and experience the latest supply chain technologies up close and personal. Earn CEU’s (Continuing Education Units). Attend all 3 days and earn 15 CEU’s. Attending the EDGE supply chain conference exposes you to innovative ideas, provides networking opportunities with professional contacts and advances your professional skills.